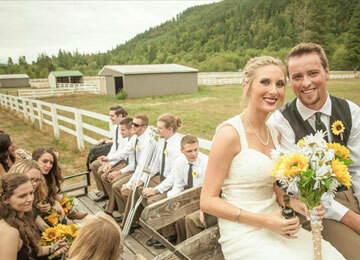 We have a number of various Add-On packages that allow you to customize your wedding to be unique & memorable for you and your guests. (More photos of each package available upon request). 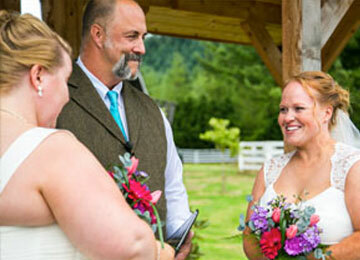 Time is recommended split between ceremony recessional and later during the reception. We work with you and up to 100 of your photos to create a slide show as decor that plays in the cabana during cocktail hour & in the barn during your reception. Give us the photos, and let us do the rest. We will graphically tie all your visuals together into one beautiful memory that your guests will be able to take their time and watch as they like. 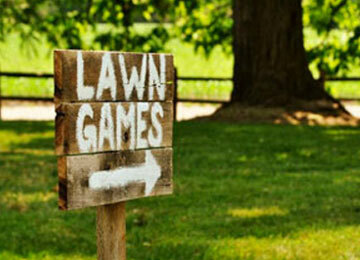 Let us take care of those lawn games that you were wanting to bring in. Includes Corn-Hole, Ladder Ball, Giant Jenga & Giant Tic-Tac-Toe. We will have them set-up and ready for cocktail hour, and then transition them over near the bonfire pit for after dinner fun. 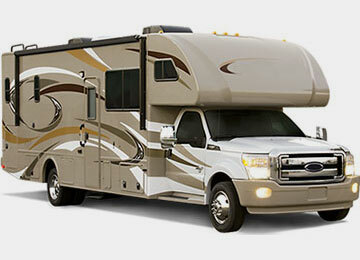 If you would like to bring an RV for the wedding day, or just a bit more extra space, we have the perfect location to park it, as well as power dedicated to have the A/C or heat going. 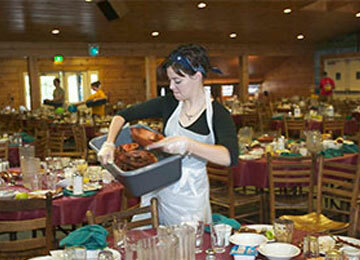 Let us handle clearing the dishes! At times, the caterer you choose doesn’t neccesarily handle the dishes at the end of the meal, or helping at the end of the night with table clean up. We can help with that! Let us provide the supplies and set up a table with for your favorite Do-It-Yourself fireside treat for you and your guests. 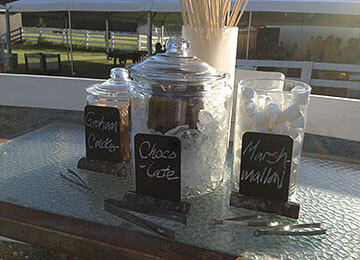 Includes : Marshmallows, Graham Crackers, Chocolate, Roasting Sticks all set out in a nice display. 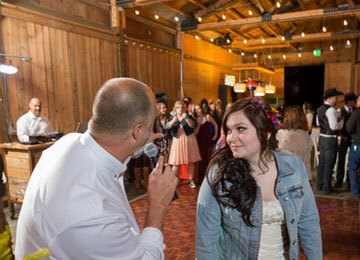 You also get a team of two (George DJ & Rich MC), which helps keep everything running smoothly. 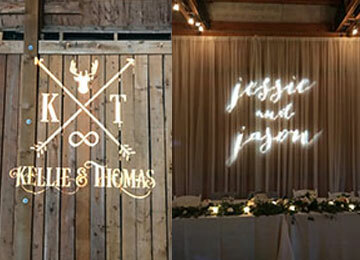 We will take your wedding invite and turn it into something memorable as a design feature on the barn walls. 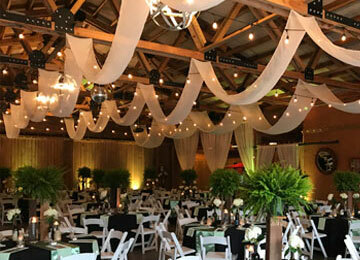 We will use our up-lighting LED lights to bring some depth and color to your reception barn walls. 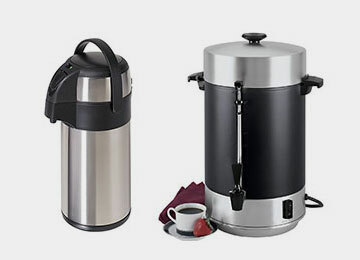 Let us handle getting coffee set up for everyone. Many times, it is one of the last details that people think about, but one of the nicest details for later in the evening as things are winding down.